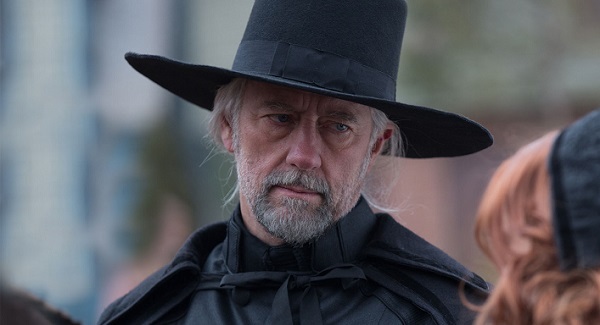 Some months back, The Walking Dead brought in the prolific Xander Berkeley for an unspecified role, getting our hopes up that he might become the antagonist Gregory. And now that assumption has been confirmed, and Berkeley will definitely be one of the people making life more difficult for the citizens of Alexandria. Not that he’d admit that he’s in the wrong for anything. For a quick, spoiler-free intro to the character, Gregory is the leader of the Hilltop Colony, another safe haven of survivors that will be introduced in the second half of Season 6. He is the kind of leader that is comparable to a stereotypical politician, smiling and letting on that he’s doing everything for the good of the community, when he’s really just focused on his own interests. And one of those interests is keeping the dreaded Negan and his Saviors happy by heeding their demands. There’s a good chance Xander Berkeley will be one of the best cast additions that The Walking Dead has delivered yet, especially if the actor is rocking the comic character’s grizzled facial hair. And Berkeley has played every kind of character over the years, on things such as 24 and Nikita, so there’s no doubt he’ll make Gregory feel as ruthless and smarmy as he did on the page, and then some. Vague comic spoilers below the image of Berkeley. Gregory is likely going to be a major nuisance to many characters when he shows up, but we can expect for Rick to be at the top of that list, for obvious reasons, but Maggie will be up there as well. Not only does Gregory like to get a little too personal with women, he takes an initial liking to Maggie but doesn’t like it when she rises in the ranks and becomes a better leader than he is, which is when things get really ugly. It’s obviously not clear if the comic story will be adapted exactly for the TV show, but I’m betting that Maggie will become a much bigger part of the central narrative once the Hilltop Colony comes into play. TV Line gave no indication of when we’ll be meeting Berkeley’s Gregory for the first time, but it’ll probably come a few episodes into the return. After all, the survivors first have to make it through the massive horde that breached the wall – including one major moment from the comics – as well as the introduction of Jesus and a few other notable bits. Plus, we’re still wanting to see if things come to a violent head between Carol and Morgan. The Walking Dead will return to AMC for the remainder of Season 6 on Sunday, February 14. Head here to see when the rest of your favorite shows will be returning and premiering.